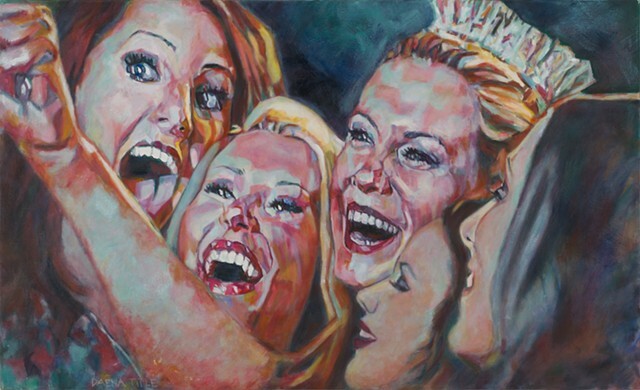 This painting is based on a photo I took from my TV from an actual pageant. The winner is taking a Selfie! This moment was being telecast internationally. It will be on You Tube forever. But she needed a Selfie. A perfect mirror of our times. And what about the other contestants: are they truly happy for her? Or just jostling for a last grab at TV time?